Preferred Care at Home of Pittsburgh received the 2016 Presidential Award – 1 Carat Diamond Level for their top production milestones and commitment to ensuring quality senior care throughout the community. Preferred Care at Home of Pittsburgh received the 2015 Presidential Award – Gold Level for their top production milestones and commitment to ensuring quality senior care throughout the community. 2015 Most outstanding performance in their first operational year of business. This Preferred Care at Home office is a certified Preferred Provider of Home Care, having undergone a strenuous training course dedicated to achieving a superior knowledge base of home care business operations, as well as a full understanding of caring for those in need. 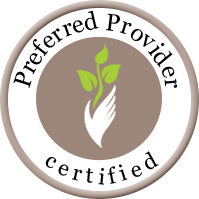 The Preferred Provider recipient is 100% endorsed by the company founders for their outstanding commitment to the community.